Get ready to experience your dream vacation! 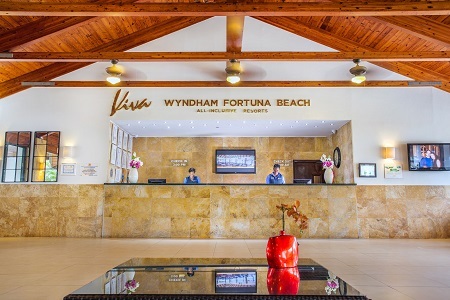 Viva Wyndham Fortuna Beach is situated overlooking a 1,200 meter stretch of white sand and crystal-clear water beaches; some magical place you can only summon in your wildest dreams. A setting overflowing with serenity overcasts these heavenly surroundings, ideal for families who wish to recreate as they make memorable vacation moments. Flaunting one of the most fabulous beaches, and in close proximity to magnificent attractions, Viva Wyndham Fortuna Beach is the quintessential vacation destination to plan family vacations or a wedding blessed by its celestial Caribbean backdrop. 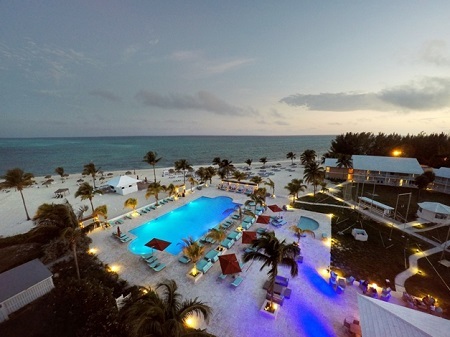 Enjoy in all the splendor of the Caribbean and Bahamian Islands. This island boasts having the largest coral reef systems in the world, National Parks, and 18 native bird species. 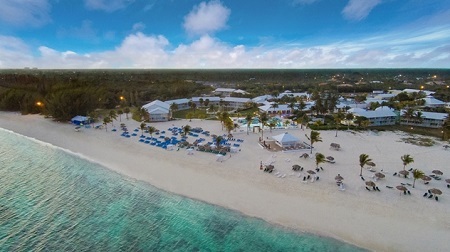 This enchanting resort is the only one in Grand Bahama Island offering a versatile all-inclusive vacation package bursting with energy and action. 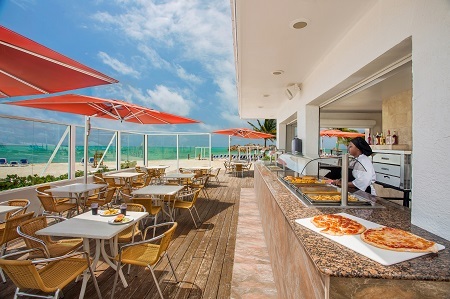 Our resort offers fun for the entire family; we realize everyone has different needs and tastes; the realm of our entertainment possibilities caters to everyone’s needs and tastes! Delight in a flawless setting where unforgettable memories take place in an environment that comes to life through its heartfelt and friendly service. The hotel also has a theater with capacity for 500 persons, meeting facility with capacity for 120 persons. lounge bar, two tennis courts (lighted & hard surface), gymnasium & sauna, Viva Kid’s Club, hospitality desk, first aid services , free parking and 24 hours ATM machine with US and local currency. An unforgettable vacation begins inside comfortable accommodations. Immerse yourself in the pleasant rooms available at Viva Wyndham Fortuna. 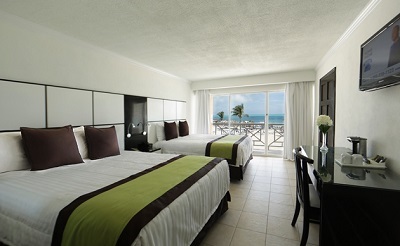 Heavenly moments await in one of our 276 spectacular ocean or garden-view rooms surrounded by exotic, lush vegetation. 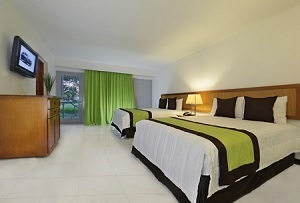 Our rooms offer nights of profound relaxation, with all the comforts you could ever dream off at arm’s reach, for a sensational vacation in paradise. We offer quaint modern décor-inspired romantic rooms to large, heavenly accommodations. Lodge in the midst of a tropical atmosphere embellished by a picturesque colonial design. Upgrade to Flora Garden Rooms for an additional +$5 per person per night or Vista Ocean View Room for an additional + $10 per person per night. Awaken every morning to a breathtaking view and set your senses free in a wonderful setting for a vacation. Our comfortable accommodations will provide you refuge after a day bursting with action. SINGLE SUPPLEMENT: Offer is based on a Double Occupancy. Single Supplement is available for an additional $75 if you wish to room solo in a Standard Room. Single Supplement for upgraded room types can be quoted upon request. Single parents, pay the single supplement and kids 3-12 years old pay the child’s rates.